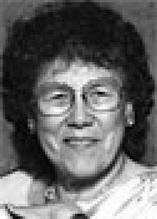 WATERLOO - Helen Louise Billington, 87, of Green Castle, Mo., formerly of Waterloo, died at home Wednesday, Feb. 10. She was born Nov. 3, 1922, in Stahl, Mo., daughter of Oliver Pearl and Rubia Esther Osborn Cooley. She married Clyde E. Billington on Nov. 22, 1940, in Milan, Mo. He died April 5, 1999. Mrs. Billington worked as a waitress in Waterloo. She also owned Helen's Diner, Jesup, and had been employed for Stockman's Inn No. 2 and Freeman's Restaurant, both in Waterloo. She was a member of Hazel Creek Free Will Baptist Church, Kirksville, and was past president of Sidney Community Club. Survived by: three sons, Clyde "Gene" Jr. (Ellner) of Maplewood, Minn., Eldon (Pauline) of Green Castle and Bryan (Brenda) of Unionville, Mo. ; two daughters, Lyndia Billington of Green Castle and Cindy Foster of Waterloo; 11 grandchildren; 18 great-grandchildren; four stepgreat-grandchildren; a great-great-grandchild; a brother, Connie Dee Cooley of Greentop, Mo. ; and two sisters, Patricia Bledsoe of Nampa, Idaho, and Betty Wassam of Kirksville, Mo. Preceded in death by: a daughter, Candace; and two brothers, Leonard and William Thomas "Bill" Cooley. Services: 11 a.m. Saturday at Travis-Noe Funeral Home, Kirksville, with burial in Lipp Cemetery, Putnam County. Public visitation from 6 to 8 p.m. today at the funeral home, with family present. Memorials: may be directed to the church in care of Travis-Noe Funeral Home, P.O. Box 306, Kirskville, MO 63501.